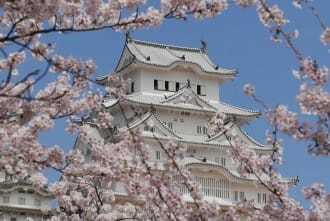 https://matcha-jp.com/en/1665 7 Top Cherry Blossom Spots In Hokkaido - See Sakura And Nature! 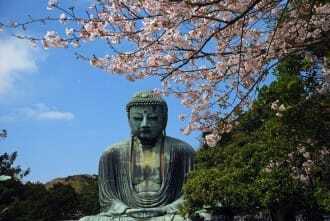 This article features seven cherry blossom viewing destinations in Hokkaido, the coldest region in Japan. 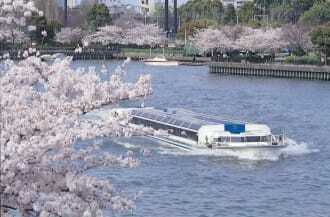 Here you can enjoy cherry blossoms around a month later than in Tokyo. 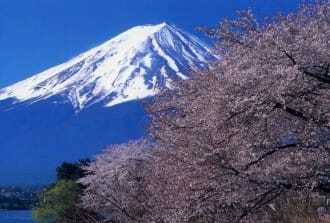 Hokkaido is an ideal place to see the sakura flowers and the great outdoors. 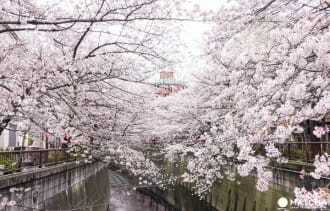 Go See the Cherry Blossoms in Hokkaido! The allure of Hokkaido, the northernmost prefecture in Japan, lies in its natural beauty and its cuisine made with natural ingredients. As the coldest region in Japan, its cherry blossoms start to bloom up to a month later than the flowers in Tokyo, beginning in late April. Being able to see the sakura trees in spacious, open locations is an experience that is uniquely Hokkaido. 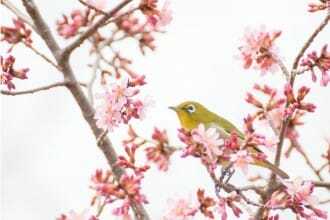 In this article, we introduce seven spots in Hokkaido where you can observe the blooms yourself. 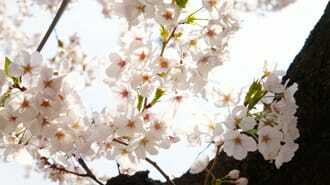 Dates when the cherry blossoms start to bloom, and when they are in peak condition, are listed below for each region. In 2019, the cherry blossom forecast for Hokkaido is as follows. Located in Hokkaido’s biggest city, Sapporo, Moerenuma Park is a vast 1,880,000 square meters in size. It is surrounded by geometrically-shaped mountains, and has unique water fountains and playground equipment. World-famous sculptor Isamu Noguchi designed the park, which is based on the concept of a single sculpture. Dotted with playground equipment and facilities inspired by modern art, the park is fun not just for children, but also for adults. Cherry blossoms bloom in the spring, and water play areas and fountains open in the summer. You can see foliage in the fall, and go cross-country skiing or sledding in the snow-covered park in the winter. Moerenuma Park can be enjoyed in any season. 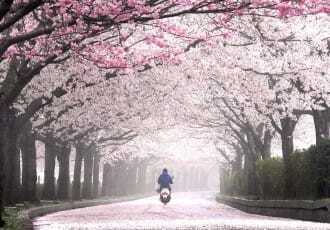 In the cherry blossom forest, you can see roughly 1,900 trees blooming on 130,000 square meters of land. The forest has more than just cherry trees; there are also seven play areas hidden away in the forest. There are a total of 126 colorful equipment that will pique visitors' curiosities. To see the entirety of the park, we recommend going to Mt. Moere. 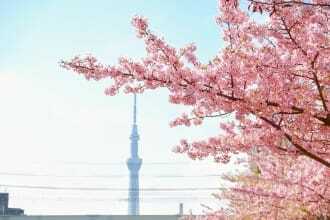 The summit has an observatory where you can see the cherry blossom forest and all of Sapporo City. Since the mountain is 53 meters tall, you can reach the top in just ten minutes, making it an ideal destination even with children. If you’re hungry after walking around, head to the park’s cultural facility, the Hidamari glass pyramid, which contains a French restaurant that uses fresh Hokkaido ingredients. The building also contains a sun-lit rest area, art gallery, and shops. At Moerenuma Park, you can immerse yourself in nature and the sun while you see the cherry blossoms with friends and children. Sapporo Travel Guide – Sightseeing, What To Wear, Local Food, And More! Sapporo - 10 Destinations to Visit in Hokkaido's Largest City! Explore Sapporo in Two Days with This Model Itinerary! 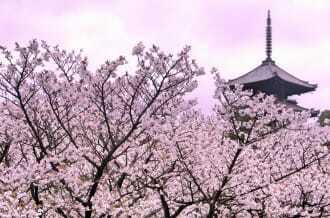 Goryokaku Tower is a famous observatory in Hakodate, Hokkaido. 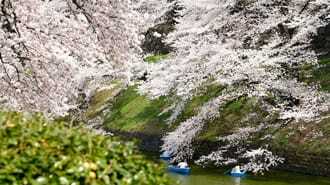 From the top, you can look out over roughly 1,600 cherry trees inside the star-shaped Goryokaku Park. 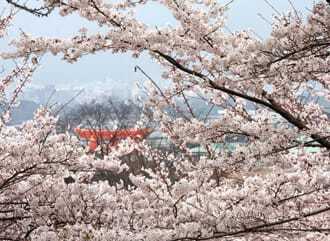 In spring, the view of the park transforms into a delicate pink. The observatory also contains an exhibit space to learn about the history of Goryokaku, and has a see-through floor made with reinforced glass. With restaurants, cafe stands, and a gelato shop inside the facility, you can relax and enjoy the scenery. Fixed holidays Open all year round. Goryokaku Koen-mae and walk for fifteen minutes. at Goryokaku and walk for fifteen minutes. 15 Must-Visit Spots In Hakodate, A Hokkaido Port City With A Million Dollar Night View! Enjoy Hakodate's Elegant Streets and Nature with This 2-Day Itinerary! Matsumae Town, located in the southern Hokkaido district of Matsumae, is the only castle town in the prefecture. 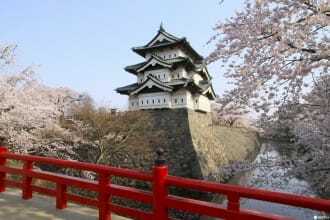 Matsumae Park is home to the symbolic Matsumae Castle. 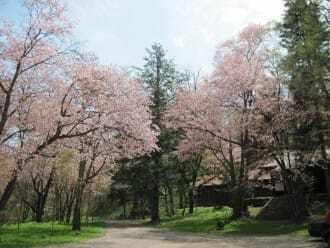 The entire park is known as a cherry blossom spot. Visitors can also view a recreation of the Matsumae Clan estate. 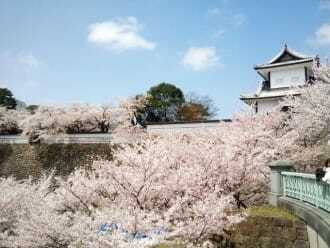 Matsumae Castle is also known as the "cherry blossom village" due to its wide variety of flowers. 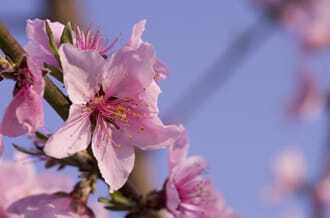 In spring, an astounding 10,000 flowers in 250 varieties blossom in the park. 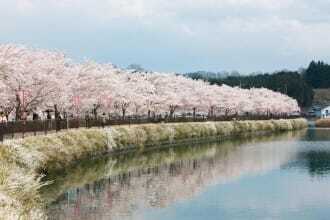 Since the peak bloom timing for each variety is different, you can see cherry blossoms here for about one month. 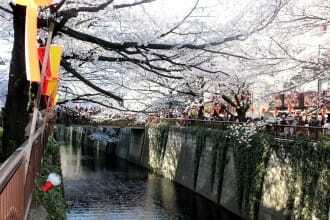 During the best time to see the flowers, the Matsumae Cherry Blossom Festival is held in the park. The celebration has various events such as armored warrior parades and dances. 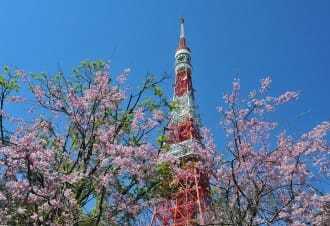 From the second park area, which is on elevated ground, you can get a superb view of the entire park and the Tsugaru Strait between Hokkaido and Aomori prefectures. 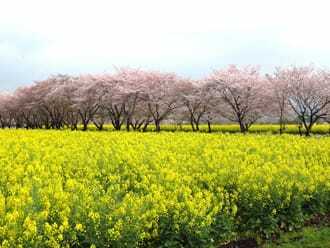 You can see more than 3,000 cherry trees planted for roughly seven kilometers along the Shizunai Nijukken Road. Over the course of three years starting in 1916, cherry trees from the nearby mountains were re-planted along this road. The Nijukken Road is a heritage site in Hokkaido that people want to continue to preserve for generations. 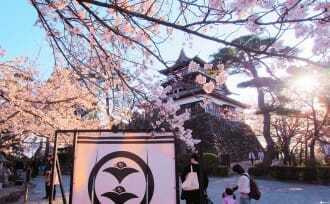 It is one of Japan’s most beloved places for cherry blossoms. From early to mid-May, around 200,000 people come from all over the country to see the blooms. Since there are few buses, we recommend staying near Shizunai Station for a night. Asahigaoka Park is designated as one of Japan’s 100 top views. From the top of the mountain, you can look out over the Furano Basin and the Tokachidake mountain range. In the spring, the park is busy with crowds coming to enjoy the approximately 3,000 Sargent cherry trees. The park is very spacious and perfect for picnics. In springtime on Mt. 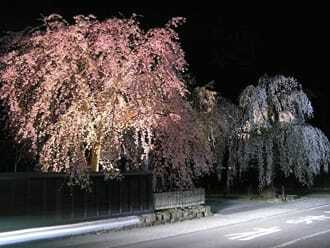 Tengu, one of Hokkaido’s three famous night views, you can see this beautiful sakura cherry blossom tree in bloom. The city of Otaru and the sea fills the space behind the tree, and the scenery is breathtaking. Asahikawa Park can be enjoyed in a myriad of ways, from having a picnic in the spring to viewing the foliage in the fall. You can also see the cherry blossoms here. The park began with 1,000 cherry trees and is now home to 3,500 trees which dye the park shades of pink. 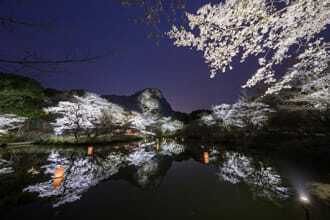 The park is lit up at night, creating a magical effect with the cherry blossoms. Since it is right next to the Asahikawa Zoo, you can enjoy the lovely flowers and cute animals together. Flying... Penguins? Many Unique Exhibitions at Asahiyama Zoo! Visitors going to these Hokkaido cherry blossom viewing spots can take in the abundant nature and invigorating scenery. You’ll want to take a deep breath and revel in the beauty of the flowers. This article, originally published on February 23, 2016, was rewritten in 2019.